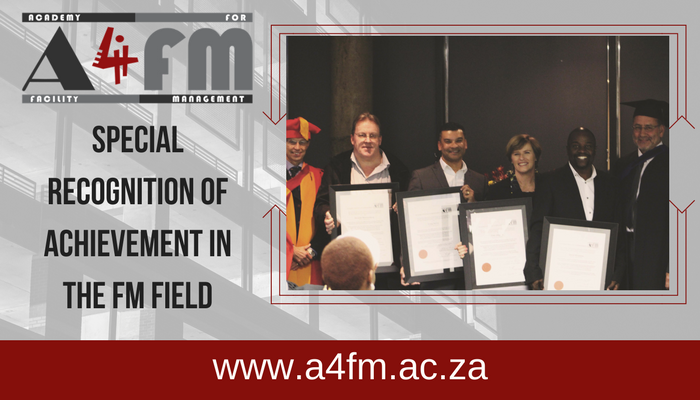 You will have see the earlier blog concerning the regulatory issues faced by the Academy for Facility Management (Academy). 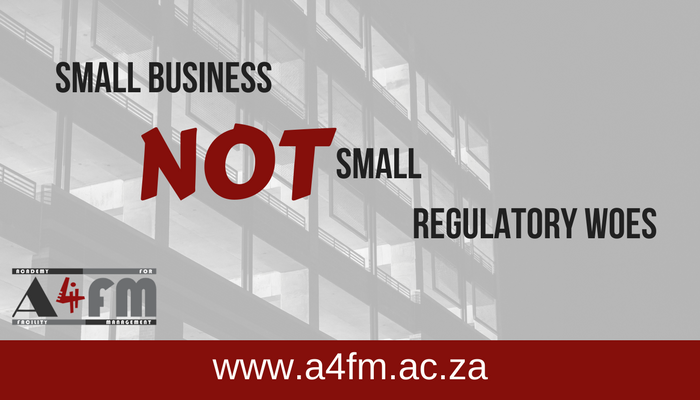 Every few years there’s a major crisis for every business, sometimes even self-inflicted. One has to accept that and plan for it. 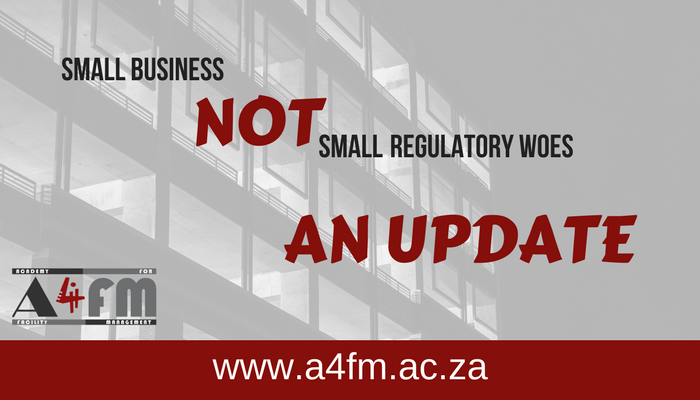 Working with regulators however, makes the crisis more certain and the nature of the crisis more unpredictable. You know you have arrived in the social consciousness when you have registered on the radar of cartoonists. Congratulations FM; You have arrived! 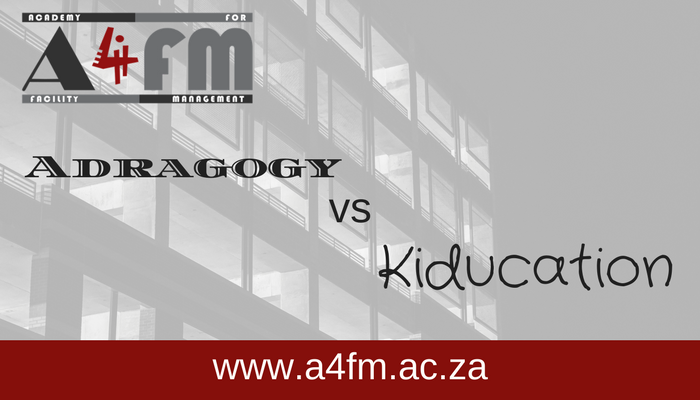 Research indicates some interesting principles on adult learning (Andragogy). 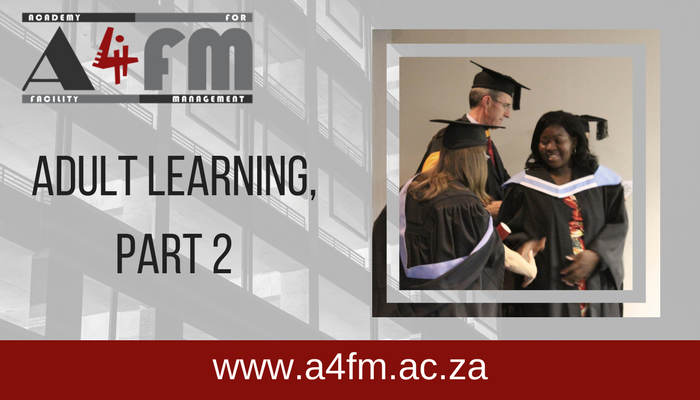 The following is the second of a series on the topic and the way in which the Academy approaches this issue in practice with its adult students. 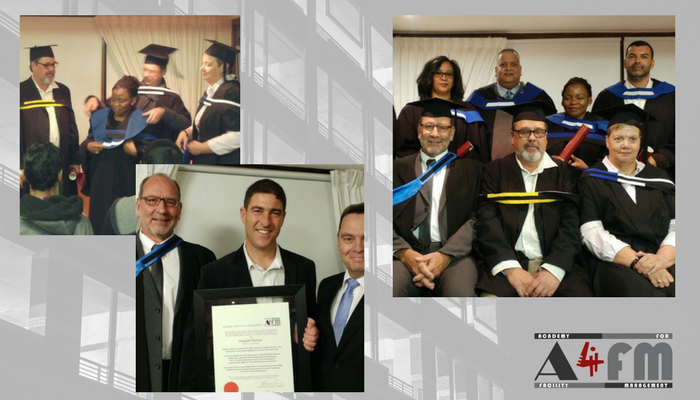 During its annual Commencement Ceremony for the Academy for Facility Management awarded a number of Special Charters for outstanding public, academic and intellectual achievement to Craig Henry, David Khasebe, Clair Odgers, Hendrik Wannenburg, Helgard Pienaar and Banzi Bam. 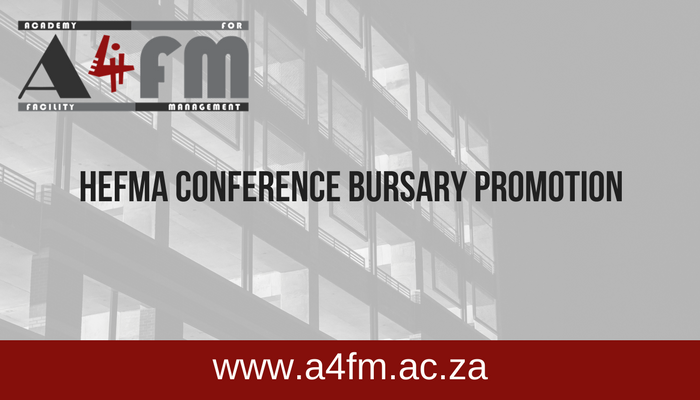 The Academy for Facility Management is pleased to announce that any 2017 HEFMA conference delegate who currently has no formal FM qualification, is eligible for a bursary from the Academy for FM that will enable them to study towards a formal FM qualification. Research by indicates some interesting principles on adult learning (Andragogy). The following is a summary by of the research and the way in which the Academy approaches this issue in practice with its adult students. As part of the HCFM’s building maintenance module, the Academy takes students on a site visit to assess a four star green building. Watch the video to see what it is like to attend an site visit.